Antrizle. The name sounds funny. You can't find it on any map. A Google search makes no difference. Where and what is Antrizle? It's a tiny speck of a village on the east coast of the island of Dominica with a population of less than 700, but emerging from it is a rising star that just might cause mapmakers to reconsider giving it some space on the chart. Kavem Hodge, who turned 20 earlier this year on 21 February, is a middle-order batsman and left-arm spinner. He is one of only two Under-23 picks in the Limacol Caribbean Premier League (LCPL) draft for the St. Lucia Zouks franchise team and the youngest member of the team. When he began playing windball cricket on the beach in the seaside village where he grew up, he could not envisage a LCPL, let alone imagine that he would one day be drafted to play cricket for a franchise. "At 5 years old, I was the youngest on the side. The other guys were much older and I was the wicket-keeper. Imagine that," says Hodge. "I love to bat and bowl but I also enjoy wicket-keeping. I'm still the keeper when I play in the Castle Bruce league and for the Marigot team in the Northern T20 League. We would go to the beach on weekends and play cricket, swim, play cricket, swim and so on until we were tired. That was our passion. During the week it was the same. In primary school, we would play cricket before school started, during break, at lunchtime and after school. Sachin Tendulkar was my hero back then and still is. I would dream of playing cricket for the West Indies at the highest level. I lived and breathed cricket but never thought, in my wildest dreams, that I would be part of such a tournament." Now Hodge is living the dream and on 30 July at the LCPL opening match against the Barbados Tridents, he will breathe some of his youthful energy and enthusiasm into the St Lucia Zouks. He was born in Roseau, the capital of Dominica, but moved to Antrizle with his mother and his older sister to live with his maternal grandmother and grandfather, the latter a cricketer himself. A few years later his grandparents moved temporarily to the US to live with their daughter; his mother joined his stepfather in the UK; and his sister moved to Antigua. In the blink of an eye but only for a split second, 11-year old Kavem was homeless. However, his uncle took him in, followed by a neighbour and other good Samaritans until his grandparents returned. Five years later he met his father for the first time. All along it was cricket that kept him going. He says he will never forget the first time that Claudius Sanford placed a "hard ball" in his hand, which put him on the path that led to where he is today. "Mr. Sanford was a coach who went around to the primary schools in our area identifying persons to play in the Under-13 East Zone League. He recognised my talent and introduced me to the hard ball. He gave me my first chance to play in the Under-13 Zone League." He was one of the chosen few. From representing the eastern part of the island, Hodge went on to represent his country at the Under-13 and Under-15 levels. 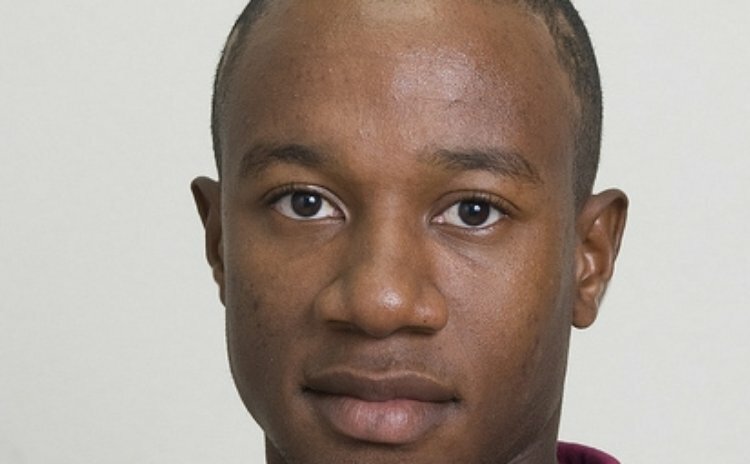 As captain of the Under-15 for the Windward Islands, he led the team to victory, something they hadn't tasted in 10 years. At the age of 17, he was the first West-Indian to attend the Darren Lehmann Cricket Academy in Australia and the only one to receive a full three-month scholarship from the Academy, while others were participating through their local associations. At the Under-19 level he has represented Dominica, the Windward Islands and the West Indies, playing in India, Dubai and at the Youth World Cup 2012 in Australia. By the third year of playing for the Under-19 Windwards team, Hodge was voted MVP but for him, the CPL is like the icing on the cake. When he found out that he was drafted, he did not believe it. "There was such a long list and I had no control over whether I was picked so I was practicing in the nets at school and Akeem Dewar, who was selected for the Jamaica franchise, came to tell me that I was picked. I thought he was just pulling my leg so I didn't take him on and then another player told me and I still didn't believe. It was not until one of the UWI coaches showed me the tweet from LCPL which said I was picked that I believed. I felt a sense of relief and a whole lot of excitement at the same time." Hodge is once again one of the chosen few and when he puts on the blue uniform of the Zouks, he says it will be with a sense of pride and privilege.